Adobe Shockwave Player (formerly Macromedia Shockwave Player) is a browser plug-in that provides advanced multimedia capabilities. Adobe Shockwave Player is the web standard for powerful multimedia playback and has been installed on over 450 million Internet-enabled desktops. Adobe Shockwave Player displays web content that has been created using Adobe Director and allows you to view interactive web content like games, business presentations, entertainment, and advertisements from your web browser. What is the difference between Adobe Shockwave Player and Flash Player? Flash Player displays content created with Flash Professional, such as web application front ends, high-impact website user interfaces and animations and rich Internet applications (RIAs) created using Flex. Shockwave Player displays content created with Adobe Director software such as high-performance multiuser games, interactive 3D product simulations, online entertainment, and training applications. Note: to uninstall Adobe Shockwave Player download this tool provided by Adobe. 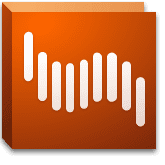 Disclaimer: Direct downloads for the lastest version of Adobe Shockwave Player 12.2.9.199 are provided by the official software's author, we can't guarantee safety, availability or download speed. Moreover, we don't and we won't provide any pirated/illegal versions or tools. We recommend you to avoid it as these methods can harm your device. If you like the software, buy it to support the developers. (We provide software discounts for many worldwide brands).